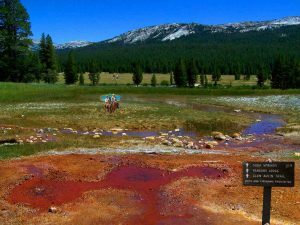 Why visit Tuolumne Meadows? 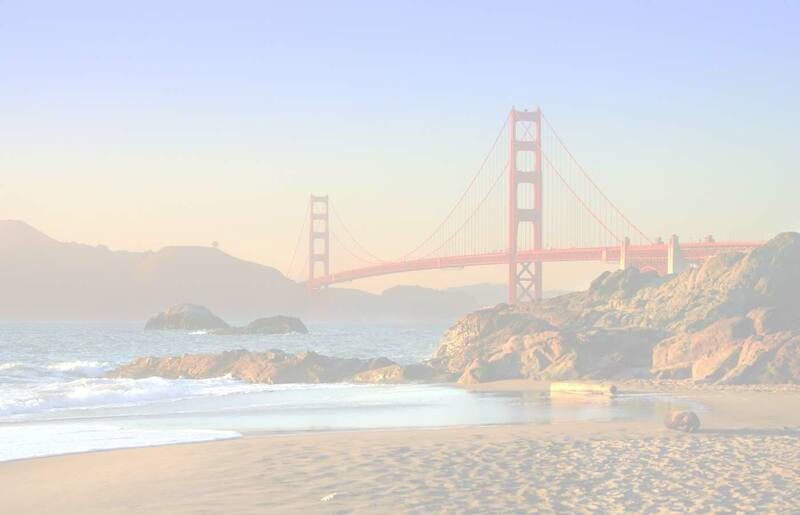 This is a magical destination for nature lovers and hikers. Tuolumne Meadows wilderness offers peace, tranquility, solitude and picturesque granite peaks and domes surrounding by stunning alpines vistas. Tuolumne Meadows is a gentle, dome-studded, spectacular sub-alpine meadowy area along the Tuolumne River in the eastern high country of Yosemite National Park. It’s one of the largest high-elevation meadows in the Sierra Nevada, this is where wildlife often takes refuge in Yosemite high country like black bears. Encountering wildlife like black bears is an amazing privilege. There’s nothing better than watching a bear roll around in the Tuolumne meadows. 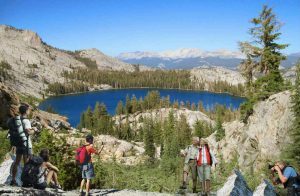 This high country is full of renowned day hikes that takes visitors to almost 13.000-foot peaks, deep into the stunning backcountry and up and over remote passes like Tioga Pass where you can soak your feet in beautiful alpine lakes. 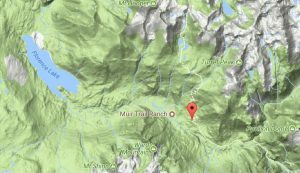 This remote wilderness is only accessible from June to October because Tioga Road and Pass are usually closed due to heavy snow falls in this part of the High Sierra Nevada Mountains. Olmsted Point and overlook – This is a must-see place along the Tioga Road because it offers spectacular views over Yosemite high country, Half Dome, and Tenaya lake. Olmsted Point is named after a famous landscape architect; Frederick Law Olmsted who was instrumental in the protection of Yosemite in 1860s. Olmsted Point is a must-do stopping point as you venture over Tioga Pass. Wander around the so-called ‘erratic’ boulders that are staggered around the granite slopes. These giant boulders were left when the last glacier came through.Tioga Road is open to vehicles in summer only, from June or July or October, but may vary based on weather conditions. 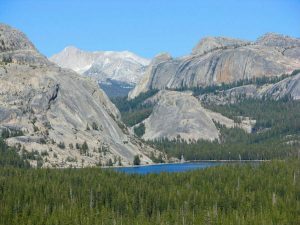 Lembert Dome – Lembert Dome is the monolithic dome and a very popular ascent, particularly among day visitors and hikers in the area of the Tuolumne Meadows. 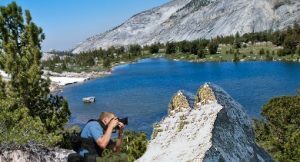 The dome soars 800 feet (240 m) above Tuolumne Meadows and the Tuolumne River and can be hiked starting at the Tioga Road in the heart of Tuolumne Meadows. Lembert Dome may seem hard to scale when observing it from Tioga Road, but it is a relatively easy hike up to the summit with a 2.8-mile roundtrip hike that takes visitors to the top of this granite rock. From the top, the overlook offers unmatched panoramic views of Yosemite’s Tuolumne Meadows. 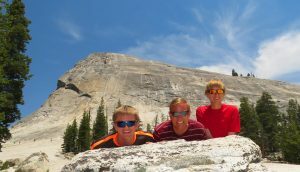 Lembert Dome is a must-see stop when visiting Tuolumne Meadows. It is also one of the less-crowded hikes in Yosemite wilderness. For sightseers who want to snap great shots without hiking, the base of the dome still offer spectacular views of iconic sights and granite formations like Cathedral Peak. Cathedral Peak-Cathedral Peak is part of the Cathedral Range, a mountain range accessible from Tuolumne Meadows in of Yosemite National Park. The peak which lends its name to the range, derives its name from its cathedral-shaped peak, which was formed by glacial activity: the peak remained uneroded above the glaciers in the Pleistocene. 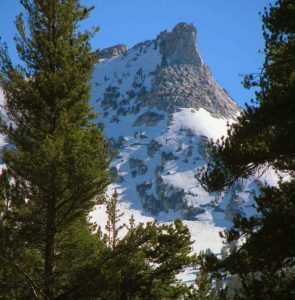 Cathedral Peak was first scaled by John Muir back in 1869 who wrote it in his book “My first summer in the Sierra”. Cathedral Peak rock formations is dating to the Cretaceous Period at 83 million years ago. It took its final shape during the Tioga glaciation of the last ice age, the peak projected above the glaciers, which carved and sharpened the peak’s base while plucking away at its sides. There are also two Cathedral Lakes situated southwest of Cathedral Peak about (2 mi) east-northeast of Tenaya Lake. The lower lake is located at elevation 9,288 feet (2,831 m), while the upper lake is located at elevation 9,585 feet (2,922 m). The John Muir Trail is nearby, with a 7 miles (11 km) round trip hike from the trailhead in Tuolumne Meadows. Picture Mount Dana from one of the overlooks along Tioga Road. This peak is situated in the western boundary of the Ansel Adams Wilderness. At an elevation of 13,061 feet (3,981 m), it is the second highest mountain in Yosemite (after Mount Lyell). The mountain is named in honor of James Dwight Dana, who was a professor of natural history and geology at Yale. Mount Dana is composed of pre-batholithic rock that is mostly reddish metamorphic rock, which was composed by metavolcanics of surfacing magma from the Mesozoic Era. Ellery Lake and Lee Vining Canyon – Ellery Lake is located between Yosemite and Mono Lake along Tioga Road. The lake it set in Upper Lee Vining Canyon, just miles from Yosemite National Park’s east entrance, Ellery Lake promises visitors breathtaking alpine scenery, abundant fishing and a chance to glimpse Ellery Lake Falls and alpine vistas. The lake lies at an elevation of 9,489 feet on the Lee Vining Creek that drops into Lee Vining Canyon. There are three lakes (Ellery, Saddlebag and Rhinedollar Lakes) used to generate power by dropping over a total of 1,700 feet (520 m) into Lee Vining Canyon, this water is impounded by dams at Ellery Lake before it drops into Lee Vining Canyon where it’s used for hydropower generation at the Poole power plant. A portion of this creek is diverted into the Second Los Angeles Aqueduct near Lee Vining to provide water to metropolitan Southern California. The diversion of Lee Vining Creek and other streams such as Rush Creek and Mill Creek has led to a severe reduction in streamflow and a drop in lake level, damaging the fragile ecosystem of the lake. Tioga Lake is a small glacial lake in the Inyo National Forest of Mono County, about two miles (3 km) north of the Tioga Pass entrance to Yosemite National Park. Tioga Pass lies at an elevation of 9,943 and is the only entrance to the Park from Eastern Sierra Nevada area, but this alpine road is closed every year from October /November to June/July, due to snow. The lake bed is alongside State Route 120 in the Sierra Nevada mountains of northern California and offers spectacular views. It also has trout fishing, a picnic area, and a 13-site managed campground. Some of the wildlife in the area are brave enough to approach humans, especially birds and marmots. Occasionally a bobcat or bighorn sheep can be seen, although the latter are particularly shy. Because of its inaccessibility, the region and Tioga Lake itself are popular with campers who want to avoid the crowds of Yosemite. Birds of prey are more common here, making Tioga Lake, and its surroundings, popular with bird watchers. Because of the altitude and its location at the crest of a major pass, the weather is extremely unpredictable, and the length of the seasons varies from year to year. Tenaya Lake – Tenaya Lake is an alpine lake in Yosemite National Park, named after Chief Tenaya, who met the Mariposa Brigade near the shores of the lake. 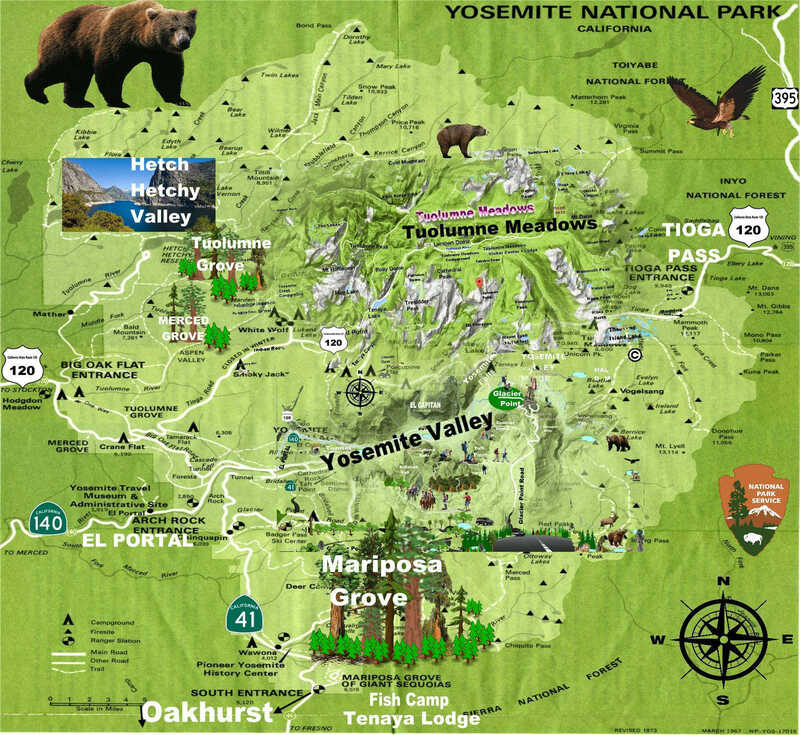 It is located between Yosemite Valley and Tuolumne Meadows. Lying at 8,150 feet, Tenaya Lake is a beautiful and popular lake with summer swimmers and outdoor enthusiasts and sits between Tuolumne Meadows and Yosemite Valley. The lake basin was formed by glacial action, which left a backdrop of light granite rocks, whose beauty was known to the Native Americans. Tenaya protested that the lake already had a name: Pie-we-ack, or “Lake of the Shining Rocks. This original name is now attached to Pywiack Dome, a granite dome to the east of the lake. 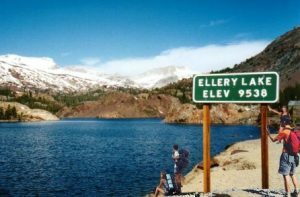 Today, Tenaya Lake is easily accessible by State Route 120 and is a popular lake for water activities. As part of the 1864 Yosemite grant, the area became the first park land to be federally protected for preservation and public use. Yosemite became a national park in 1916 with the advent of the National Park Service. 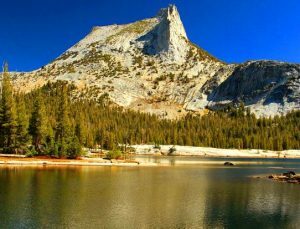 May Lake – a popular and beautiful subalpine lake in Yosemite National Park, as well as a High Sierra Camp where backpackers can stay in tent cabins located near May Lake. 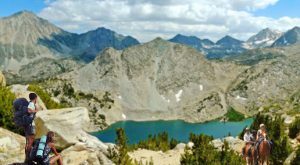 May Lake is the easiest High Sierra Campsite, located just one mile off Tioga Road. There are eight cabins that accommodate a total of thirty-six guests. 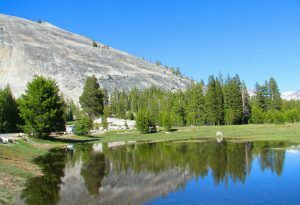 The hike to May Lake is from a parking area off Tioga Pass Road and is 1.2 miles (1.9 km). The lake is overlooked by Mount Hoffmann (named for the cartographer Charles F. Hoffmann, who was part of the California Geological Survey of the Sierra Nevada). May Lake was also named by Charles F. Hoffmann, for Lucy Mayotta (“May”) Browne, who became his wife in 1870. Polly Dome is a prominent granite dome rising 1,640 feet (500 m) above the northwest side of Tenaya Lake and Tioga Road in the Yosemite high country. The dome, more than 3 kilometers (~2 miles) long, is a substantially intact mass of granitic rock that has withstood heavy glaciation and exfoliation. Forest clings to the less-steep parts of its north and west slopes. The southwest end of Polly Dome consists of the Stately Pleasure Dome, 740 feet (230 m) lower than Polly Dome, but rising very steeply 900 feet (270 m) from the shore of the lake. 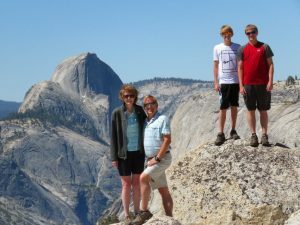 Polly Dome’s summit has unobstructed views east to the Cathedral Range, north over Tuolumne Meadows to the Sierra crest, northwest over the Grand Canyon of the Tuolumne and southwest to Half Dome. 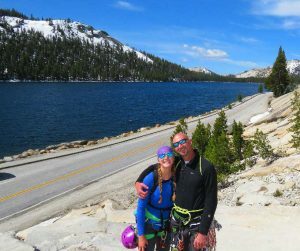 Tuolumne Meadows is a dream destination for hikers and rock climbers. 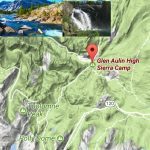 The Tioga Road is the only access by vehicle to these day and overnight hikes and trails, it is usually opens around late May or early June, depending on weather and road conditions. Once Tioga road opens, hiking trails can remain wet and snowy for a few to several weeks but they breathtaking and each one of these trails has so much to offer. Bear in mind that The Tioga Road usually closes sometime in Late October or November due to heavy snow falls in this High Sierra. Dog Lake and Lembert Dome (moderate)Dog Lake: 2.8 miles (4.5 km) round-trip, 600-foot elevation gain; 3 hours.Lembert Dome: 2.8 miles (4.5 km) round-trip, 850-foot elevation gain; 3 hours.Dog Lake and Lembert Dome: 4 miles (6.4 km) round-trip; 4 hours begin at the Dog Lake parking area (shuttle stop #2, just west of Tuolumne Meadows Lodge). The trail rises steeply for 0.75 mile to a signed junction. Turn left to reach the top of Lembert Dome for a spectacular view of Tuolumne Meadows and surrounding peaks. To reach Dog Lake, continue straight at the junction. Allow four hours for a leisurely four-mile (6.4 km) roundtrip visit to both Dog Lake and Lembert Dome. Tuolumne Meadows: Soda Springs and Parsons Lodge (easy) 1.5 miles (2.4 km) round-trip; 1 hour. Begin at Lembert Dome parking area (shuttle stop #4). Walk along the gravel road and pass the locked gate (signed Glen Aulin and Soda Springs). Soda Springs—carbonated, cold water bubbling out of the ground—is protected within a log enclosure. Historic Parsons Memorial Lodge offers exhibits. Elizabeth Lake (moderate) 4.8 miles (7.7 km) round-trip, 1,000-foot elevation gain; 4 to 5 hours Begin at Tuolumne Meadows Campground near group camp. The trail begins in the B loop of the campground and climbs steadily to a glacier-carved lake at the base of Unicorn Peak. The return hike follows the same route. Lyell Canyon via the John Muir Trail (easy) 8 miles (12.9 km) round-trip, 200-foot elevation gain; four hours. Begin across the road from the Dog Lake parking area (shuttle stop #2). This trail passes through Lyell Canyon, along the Lyell Fork of the Tuolumne River. Early in the season, the trail can be muddy in places (please remain on the trail even if it’s muddy). There are several creek crossings, including Rafferty Creek (bridged) and Ireland Creek (unbridged). Spectacular Kuna Creek cascades down the side of the east canyon wall near the eight-mile mark. Cathedral Lakes (moderate) 7 miles (11.3 km round-trip), 1,000-foot elevation gain; 4 to 6 hours. 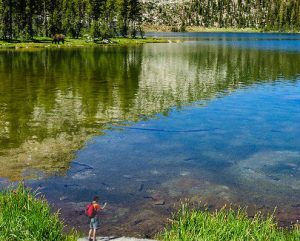 Begin at Cathedral Lakes trailhead, 1/2 mile west of the Tuolumne Meadows Visitor Center, Shuttle Stop #7. The trail climbs steadily to Upper Cathedral Lake. Near the top of the climb, it passes a spur trail to Lower Cathedral Lake (0.5 mile to lake). The return hike follows the same route. This is one of the busiest trails in the Tuolumne Meadows area. Since parking at the trailhead is limited, consider taking the shuttle bus. 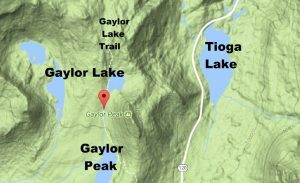 Gaylor Lakes (moderate) 2 miles (3.2 km) round-trip, 500-foot elevation gain; 2 hours. Begin at Tioga Pass Entrance Station. (Shuttle service is available twice per day.) This hike offers some of the most spectacular high-country views off of Tioga Road. From the trailhead, climb steadily to a ridge with views of the high Sierra including Mt. Dana and Dana Meadows with its scattered ponds. At the ridge crest, the trail drops 200 feet to Middle Gaylor Lake. Return via the same route. Mono Pass (moderate) 8 miles (12.9 km) round-trip, 1,000-foot elevation gain; 4 to 6 hours. Begin at Mono Pass trailhead, on the Tioga Road six miles east of Tuolumne Meadows (shuttle service is available twice per day). This historic, trans-Sierra trail climbs gently at first from the Mono Pass parking area, through wet meadows and rushing creeks. At the Spillway Lake junction, the trail climbs steadily and more steeply to Mono Pass (elevation 10,600 feet). Don’t miss the spectacular view of Mono Lake and Bloody Canyon: from the pass, hike a bit farther toward Upper Sardine Lake. Vogelsang High Sierra Camp (strenuous)13.8 miles (22.2 km) round-trip, 1,400-foot elevation gain; 8 hours.Begin across the road from the Dog Lake parking area (Tuolumne Meadows Shuttle Stop #2) The first two miles of the John Muir Trail are relatively level as they follow the Lyell Fork of the Tuolumne River. At the Rafferty Creek junction, the trail begins its 1,200-foot ascent to Tuolumne Pass. Follow the signs to Vogelsang High Sierra Camp, another 160 feet higher in elevation. Hike beyond the camp to Vogelsang Lake (0.5 mile, 280-foot elevation gain) or to Vogelsang Pass (1.5 mile, 600-foot elevation gain). Glen Aulin (moderate) 11 miles (17.7 km) round-trip, 800-foot elevation gain; 6-8 hours Follow the Tuolumne River as it drops to Glen Aulin. Tuolumne Fall and White Cascade are four miles from the trailhead. Beyond Glen Aulin are California Fall (13 miles roundtrip), LeConte Fall (15 miles roundtrip), and Waterwheel Falls (18 miles roundtrip). The return hike follows the same route.